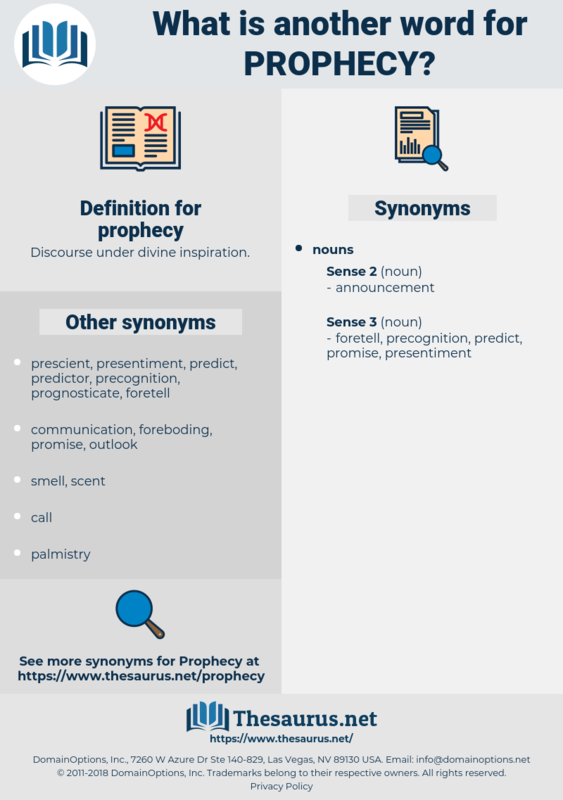 What is another word for prophecy? 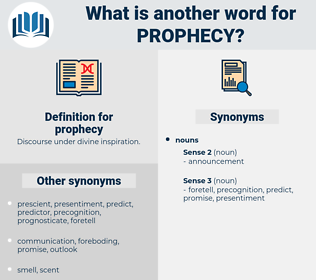 I am inclined to back history against prophecy in this matter. The artist fixed his eyes on her as he nodded a silent assent; and suddenly, though her face was so changed, he knew it was more like his portrait of her than ever, and that the prophecy of his hand was coming to fulfilment. crystal gazing, divination, foretelling, soothsaying, fortune telling.